Florida state prosecutor Claire Talbot is as tough as they come, and not everyone loves her for it. Newly promoted Felony Division Chief, Claire has about as many jealous detractors as she does supporters. Some colleagues are openly skeptical about her youth, her abilities, and even her gender. When a highway project construction crew unearths two skeletons in a common grave, Claire reopens an investigation into a string of abductions that took place before she was born. While researching the file, she meets retired cop Marc Hastings, who once worked on the case. He maneuvers his way into the investigation-and into Claire's life. Marc has an uncanny familiarity with Claire's habits, and she begins to realize that not all is as it seems. The detective urges Claire on, mysteriously convinced that only she can solve the case. Together, they unearth more graves. But then, disaster strikes ... and Claire finally discovers what Hastings knew all along. It's a secret almost too shocking for a sane mind to grasp. The key to the killings may lie deep in Claire's own past. But what if Claire's past lies in her future? Full of spellbinding twists, Douglas Schofield's Time of Departure will appeal not only to thriller aficionados, but to readers who appreciate a strong female lead and a compelling love story. A page-turner that will keep readers on the edge of their seats, Time of Departure heralds the arrival of an immensely talented new crime novelist. 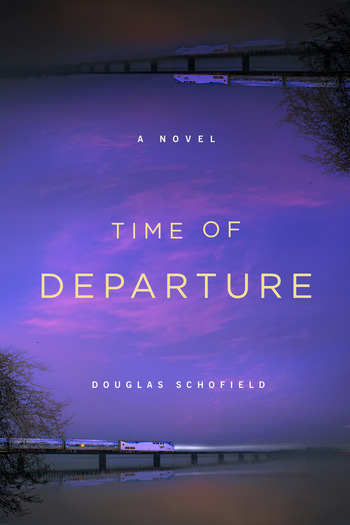 Douglas Schofield, author of Time of Departure, was raised and educated in British Columbia, where he earned degrees in History and Law. Over the past thirty years, he has worked as a lawyer in Canada, Bermuda and the Cayman Islands. He has prosecuted and defended hundreds of cases of murder, sexual assault and other serious crimes. Schofield and his wife Melody live on Grand Cayman, along with their most excellent and amazing talking cat, Juno.